The Best Tip for Living a Healthier Life, without “dieting”! Easy changes you can make to limit the added sugar in your diet. Happy New Year, everyone! I love this time of year. A clean slate. A chance to reevaluate, make goals, and think big! It’s not secret that most people start the new year with a goal to eat healthier, exercise, or follow a certain diet. I love that people gain a new motivation to live a healthier lifestyle. However, I am really not a fan of “diets”. I don’t think they work. I don’t think that completely rejecting foods you really enjoy (carbs, sweets, etc.) from your diet is the best way to approach healthy eating. I’m a big believer that food is meant to be enjoyed– just all things in moderation. Cooking can bring people together, and nothing compares to a beautiful meal shared around a big table with family and friends. My twin sister, Liz, and I talk all the time about ways to live a healthier life, tricks to raising kids who will eat anything, and general ways to cook healthy, fun and delicious meals for our families. She has a Masters and degrees in Exercise and Wellness and Health Education. She has taught me well that if you want to make healthy swaps in your diet, the BEST thing you can do is learn more about the SUGAR in your food. 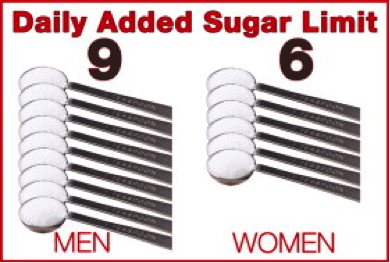 LIMIT added sugar in your diet! I often hear people say “I don’t eat sugar”, or “I don’t eat carbs”. 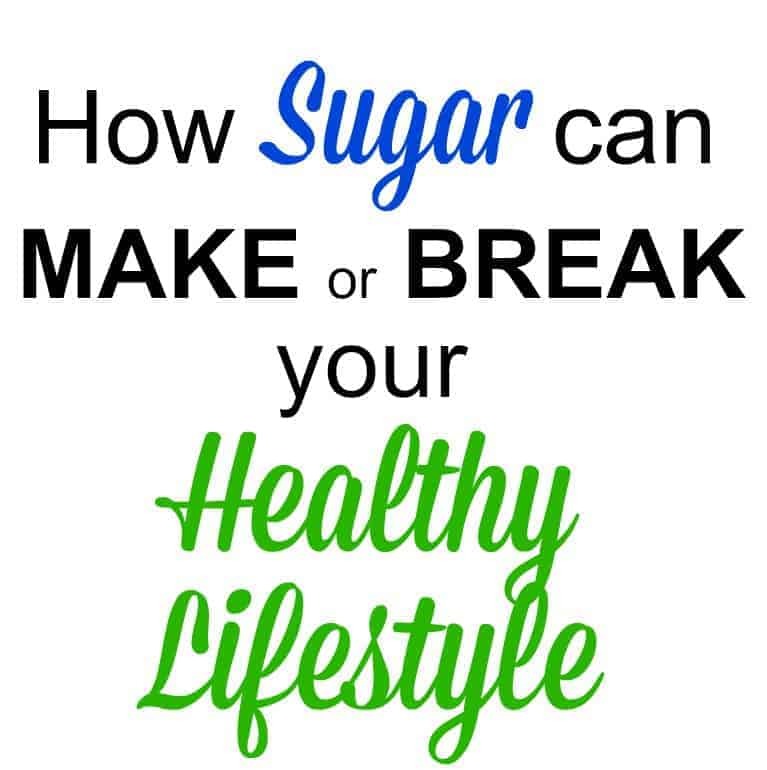 This confuses me because we find sugar in fruits, vegetables, dairy and grains and because carbohydrates are our bodies primary source of energy! Why would we want to stop eating these foods? 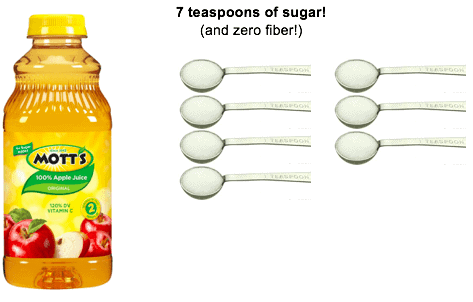 Even foods labeled as “no sugar added” usually contain sugar! 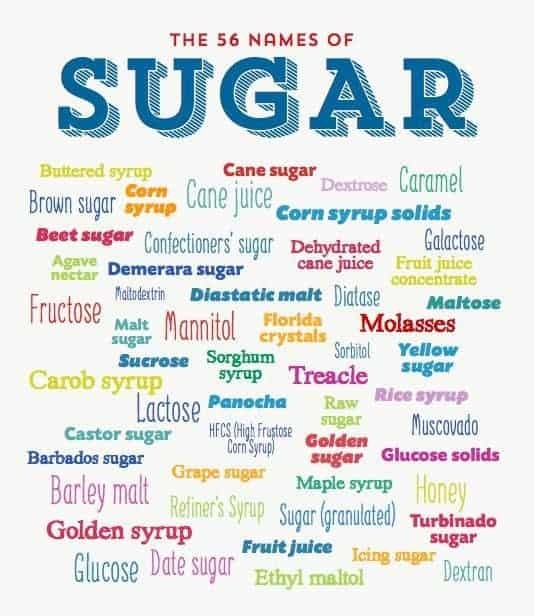 Did you know that there are more than 50 different names for sugar on a nutrition label? While sugar itself is not inherently evil, when there are over 50 types of sugar added to the foods we love, we just tend to eat WAY TOO MUCH! 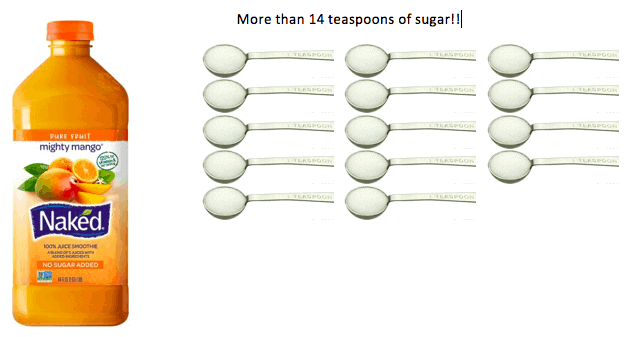 It’s estimated that Americans eat roughly 22 teaspoons of sugar per day! So how much sugar should we allow ourselves? 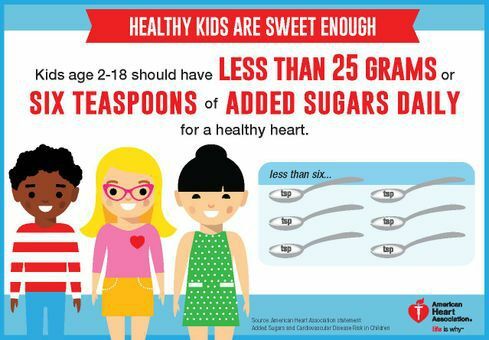 The American Heart Association recommends that kids 2-18 should not have more than 6 teaspoons of sugar per day. No added sugar is recommended in the diet of children younger than 2. The American Heart Association recommends that women try to eat no more than 6 teaspoons per day and men try to consumer less than 9 teaspoon per day. If your anything like me, than your are thinking WHAT!!! How in the world am I supposed to do that? 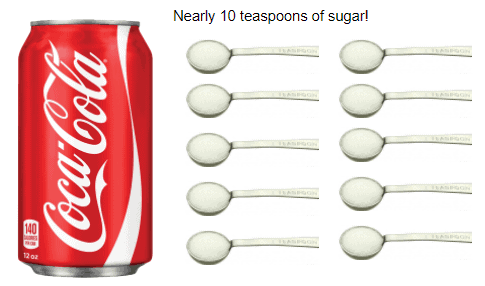 A can of coke has more sugar than my daily recommendation. Dried fruit has more sugar and calories. If you love dried fruit, just try to eat a smaller portion! Fruits and vegetables are both rich in vitamins, minerals, and fiber, but fruit usually has more sugar and more calories than vegetables. So, go ahead and pig out on those vegetables, but stick to the general recommendation of 1.5 – 2 cups of fruit per day. Avoid juice! Eat your calories instead of drinking them. The American Heart Association recommends that we have less than 8 oz. of sugar sweetened beverages PER WEEK! That means when I have orange juice for breakfast, gatorade with lunch, and a coke with dinner, I am drinking nearly 280 ounces in one week. Changing those habits might sounds like a daunting task. Try substituting water and consider carrying a water bottle with you wherever you go. How much juice should my kids drink? Offer children real fruit instead of fruit juice. Avoid giving any fruit juice to infants younger than 1 years-old. Limit the amount of juice given to Toddler’s and never give them juice at bed time. Dannon Light and Fit Greek yogurt is the only kind we eat in our house. 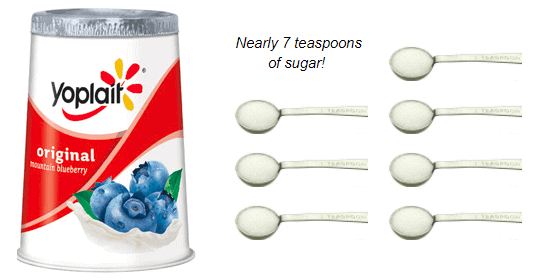 It has less than 2 teaspoons of sugar and has 12 grams of protein! Plus, it’s delicious. When we make food from scratch, we tend to eat fewer calories, fat, and sugar! (Not to mention the peace of mind that comes with knowing what is in your food). I love knowing exactly what I’m putting into my food. Also, have you noticed that my recipes now contain nutritional labels?! 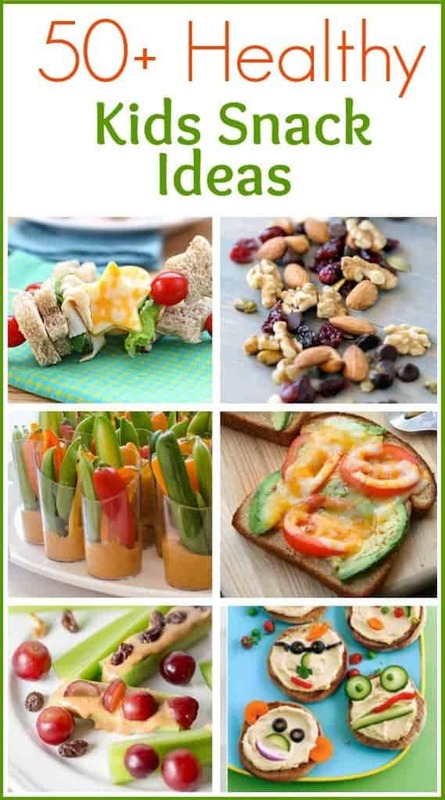 You can find all of my go-to healthy snacks for kids and myself, here.